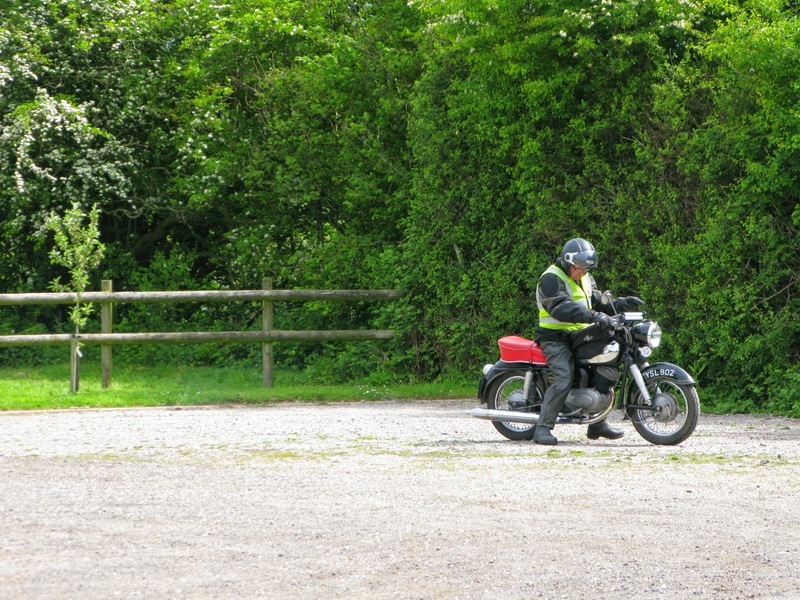 The 'Not Poole Quay Bike Night' is organised by Feked motorcycles and held at their premises on Cranborne Chase. It's been going on since last year and after riding over this week I can't believe that I haven't been before. 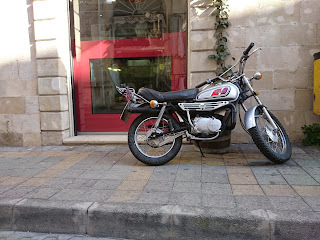 I had thought that the business was online only but there's a great shop well decorated with old bike bits and pieces and a workshop taking on light work on old bikes. 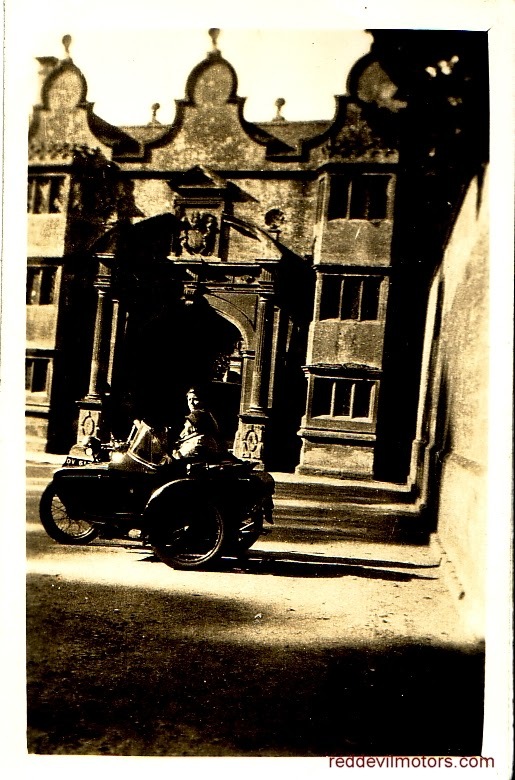 It's all housed in a grand old stable block and bikes park in the courtyard; a nice mix of classics and moderns and a quality burger van on hand selling food and cups of tea for a bargain 50p. If you're local it's well worth a ride over on a Tuesday eve. Here's a few pics from machines that caught the eye. Apologies for the slight low quality, forgot my camera so they're all taken on a phone. 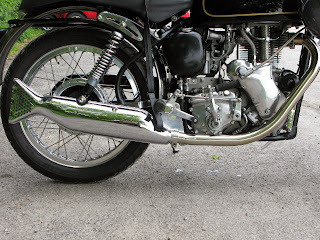 bracket and an upswept exhaust. 100 or so bikes turned up. location for an old bike business. A Gold Star always draws a crowd. headlight was a special paint for gas detection. The VMCC Stonehenge Section's Whitsun Run yesterday. A good turnout; sadly I didn't have the spare time for the run, just a ride-out to the start point for a natter and a few snaps. 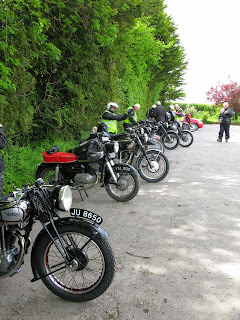 Some of the start point line up. I'll put a guess at a R50/2. 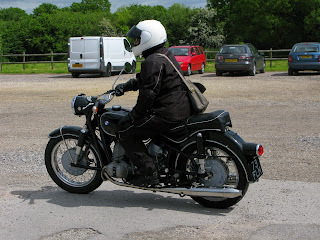 A Zundapp 201s is not a machine you often see out and about. 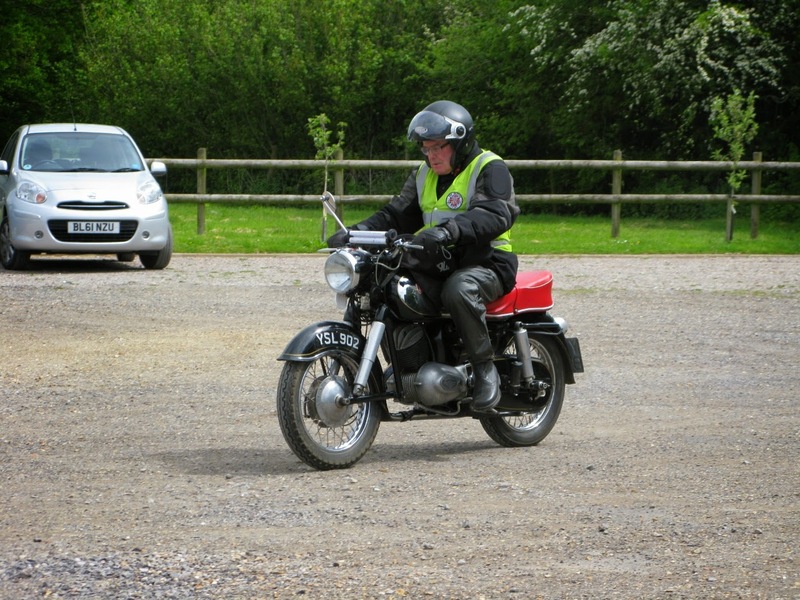 Also seldom seen is a Puch SVS 250.
work had gone in to it. A chat with the owner confirmed this. a cut away silencer to clear the swinging arm. A lot of trick parts on the engine too. 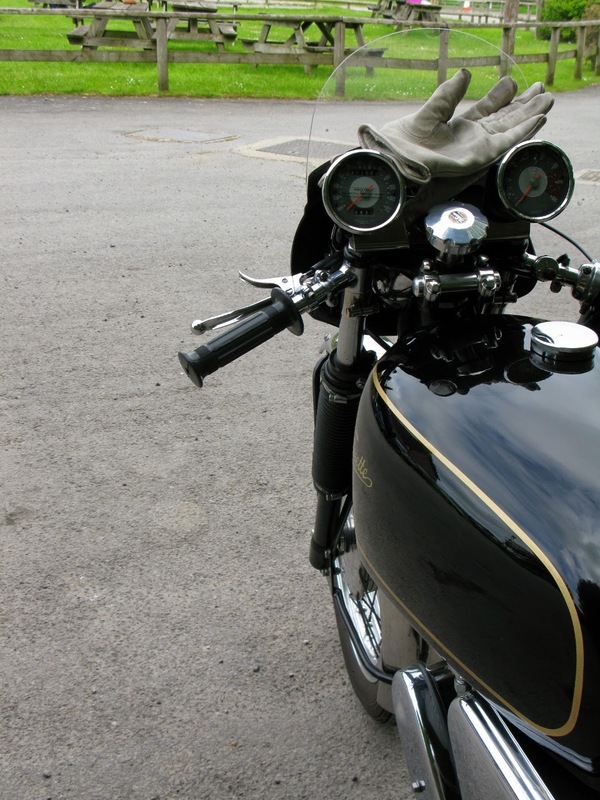 Rider's eye view of the Venom. Another spot in Limassol old town, Cyprus. 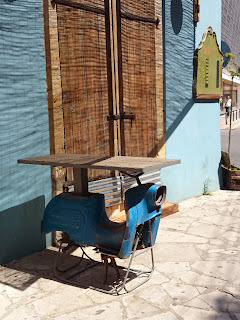 This Simson scooter ending its days as a bar table. 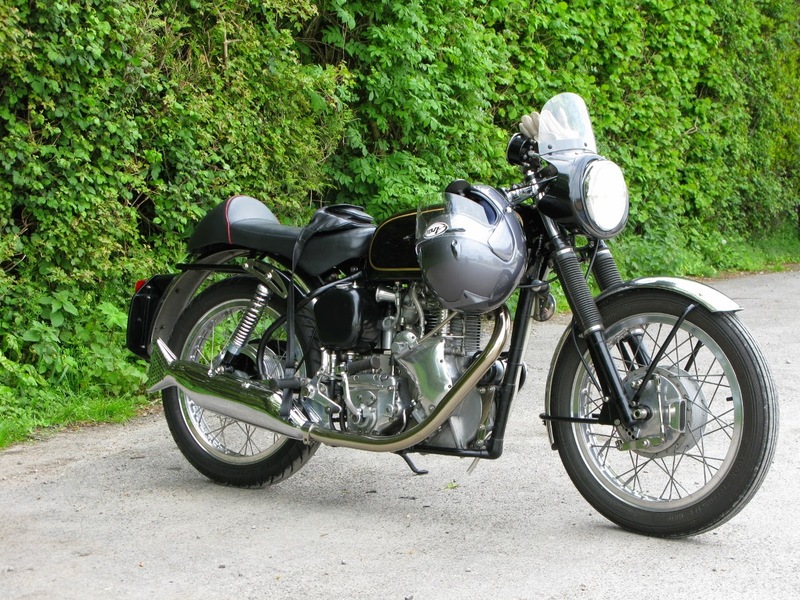 1953 and BSA were at the top of the game producing a broad range of quality machines for the everyman. There was a coherent style that went across the range. The C range were commuter or learner bikes for the buyer who had a little bit more money and didn't fancy a two stroke Bantam. Fairly low on thrills but high on dependability, the Cs clearly resembled their bigger brothers in the B range. 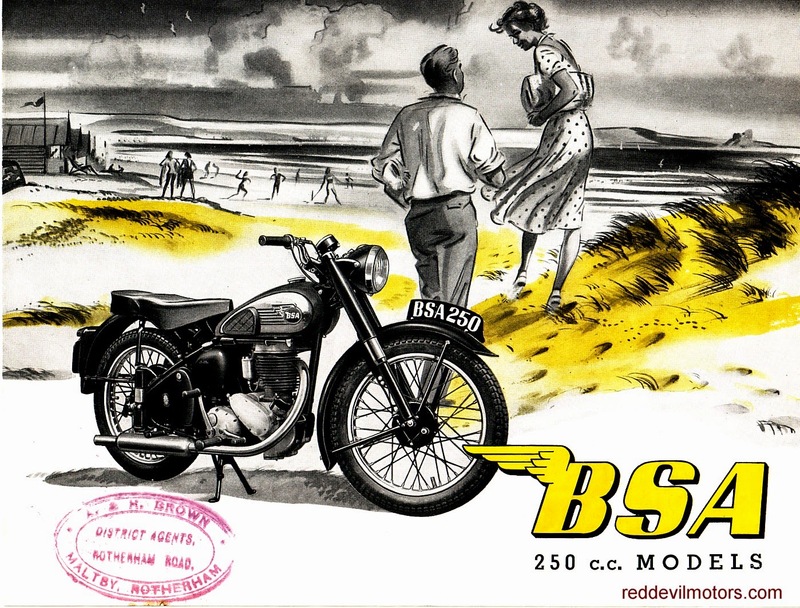 BSA C range brochure 1953 front cover. 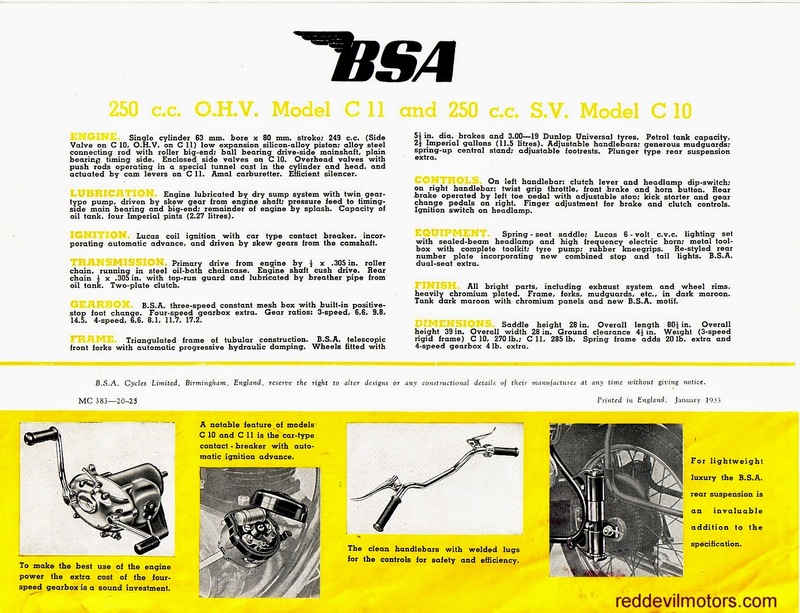 BSA C range brochure 1953 page 1. 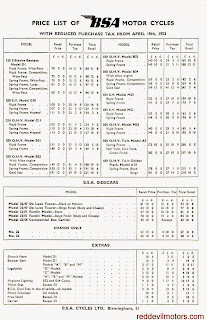 BSA C range brochure 1953 page 2. 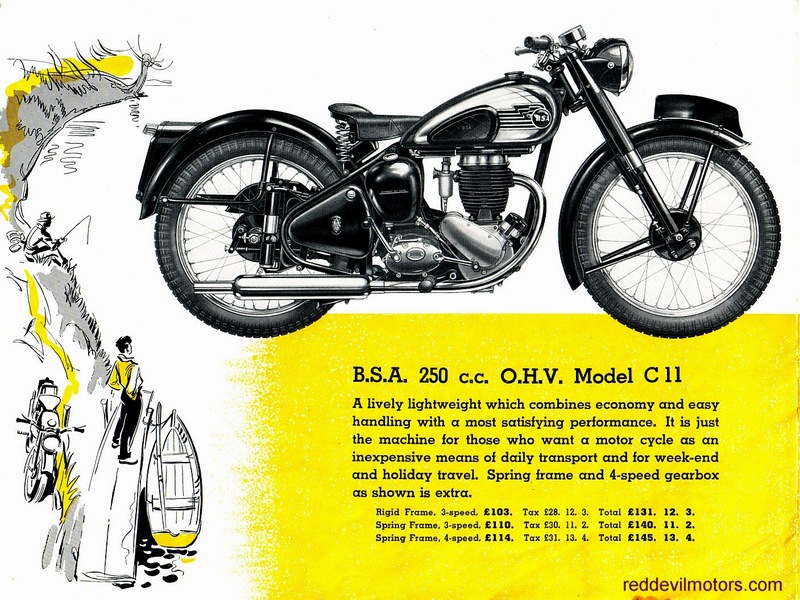 BSA C range brochure 1953 rear cover. 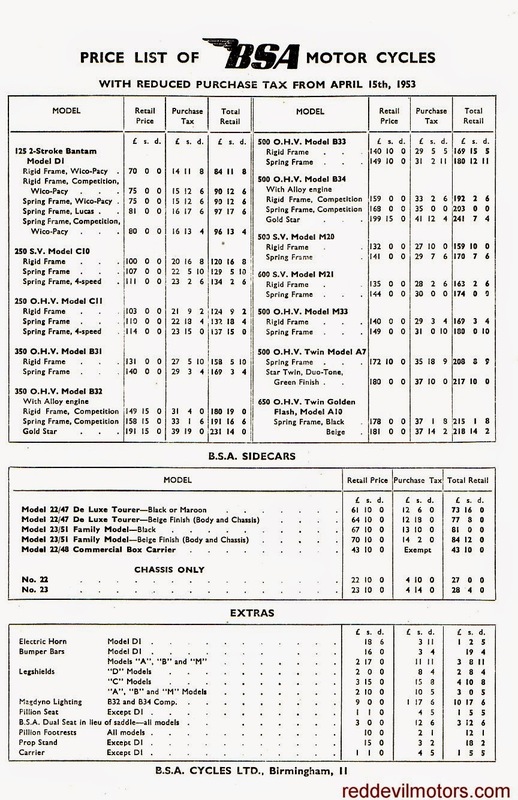 BSA 1953 full range price list. 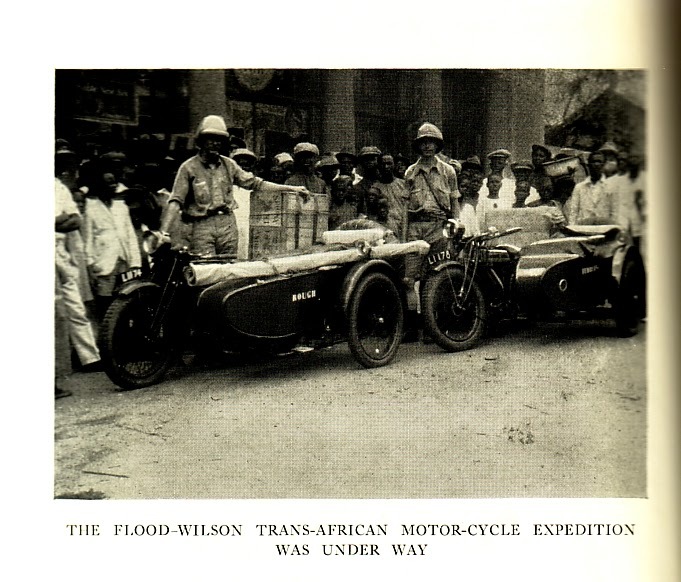 Three Wheeling Through Africa was published in 1936. A pair of adventurous American pals goad each other in to a journey across Africa by motorcycle. 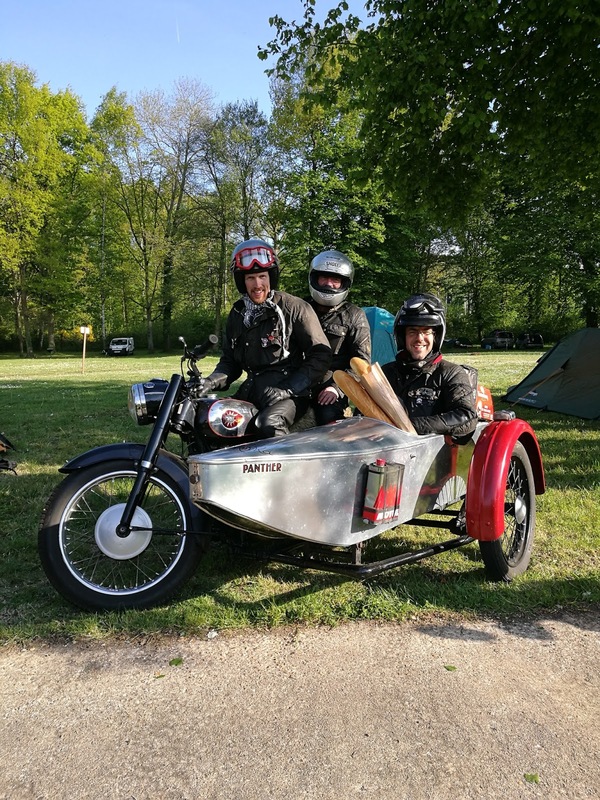 The route they take is from Nigeria to Eritrea, a trans-continental route that was trail blazed just two years earlier by four wheels. The friends are Charles Wilson and Francis Flood; it is Wilson who penned the book. 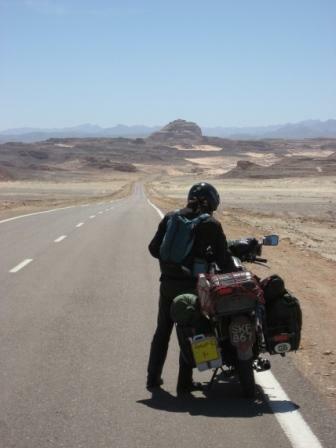 Their journey is possibly the first coast to coast east west crossing of Africa by motorcycle. 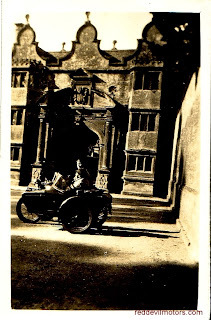 The bikes Wilson and Flood chose for the trip are a pair of Triumph SD combinations, machines that they regularly had to push and manhandle along the route. What marks Three-Wheeling through Africa apart is an openness and humour rare for a book of its era. The narrator most certainly doesn't take himself too seriously and the book is much the better for it. Although you will see it advertised for high prices it was printed in several editions and is not a particularly rare book so trawl the second hand book shops and seek this one out. 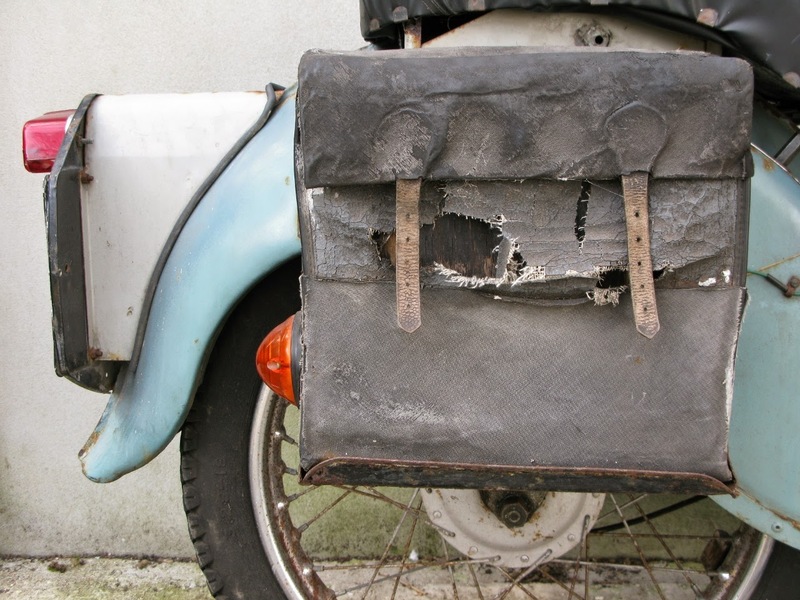 A Villiers-engined Baker. Bakers were only made from 1927 to 1930. 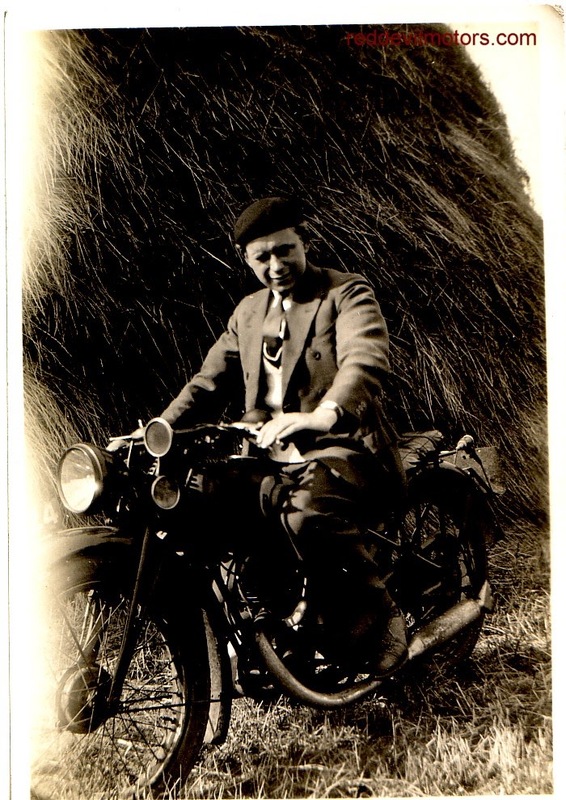 The Baker brand was created by Frank E Baker, a character who had been involved in motorcycle manufacture since the early days. 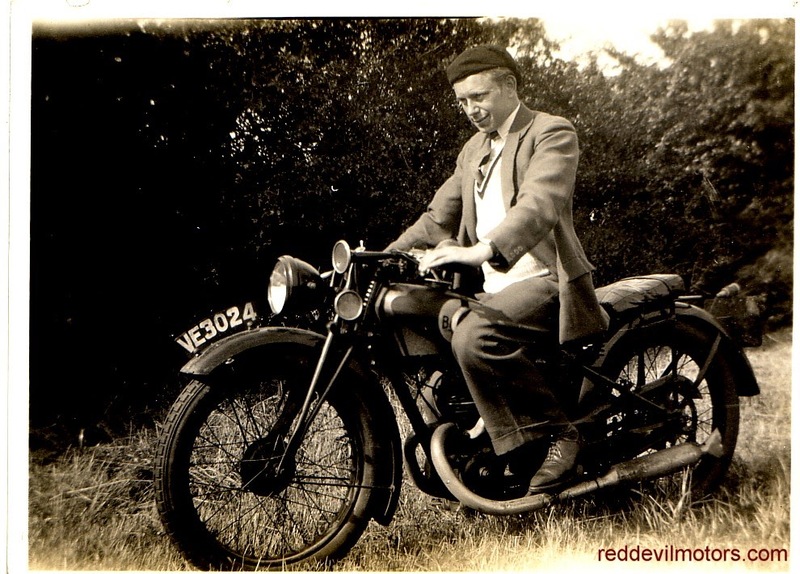 Baker had worked at Eadie (bicycle parts manufacturer), Royal Enfield and Premier before founding Precision in 1906. 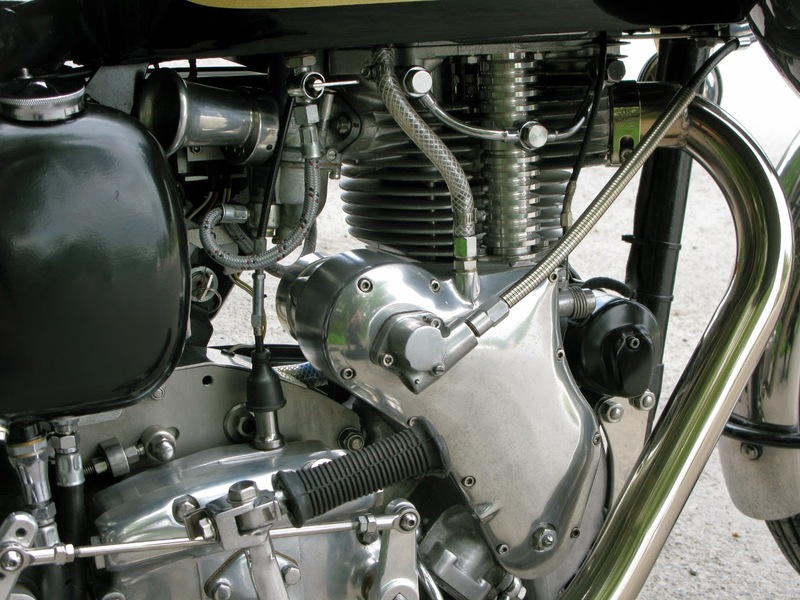 To start with Precision made bicycle components and in 1910 they brought a motorcycle engine to market. 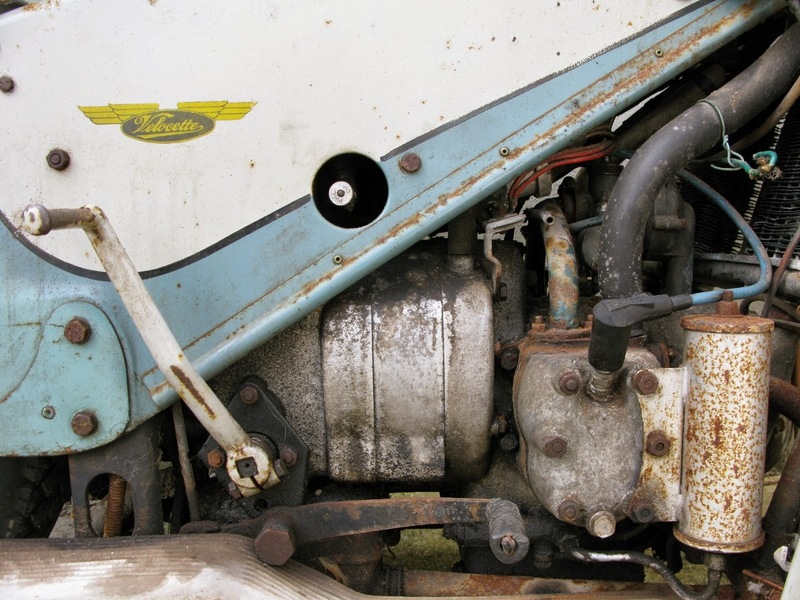 The engine was successful and apparently at the 1911 Olympia show 96 machines were fitted with Precision engines. 1912 Precision brought out a complete motorcycle. Production of Precisions was halted by the First World War. Post war the Scottish Beardmore concern injected cash in to Precision and when a new machine appeared in 1919 it was under the brand of Beardmore Precision. 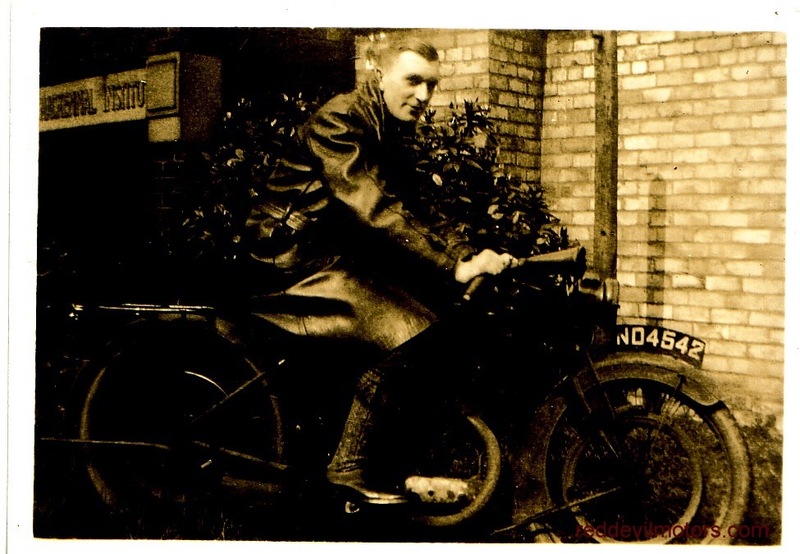 Beardmore pulled the cash in 1924 and Baker too a break from motorcycling manufacture until 1926 when he formed Baker. 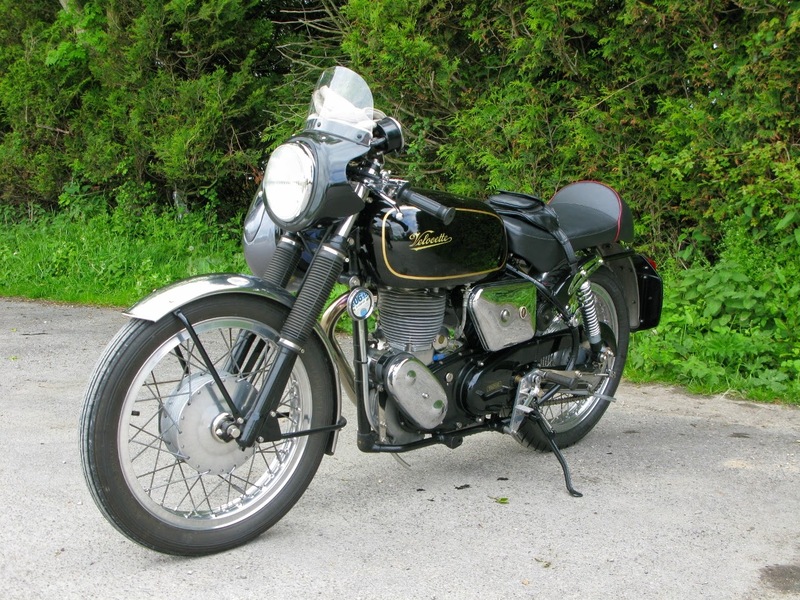 Depending which source you look at Baker motorcycles were on the market for 1927 or 1928. Not for long though as Baker sold out to James in 1930. 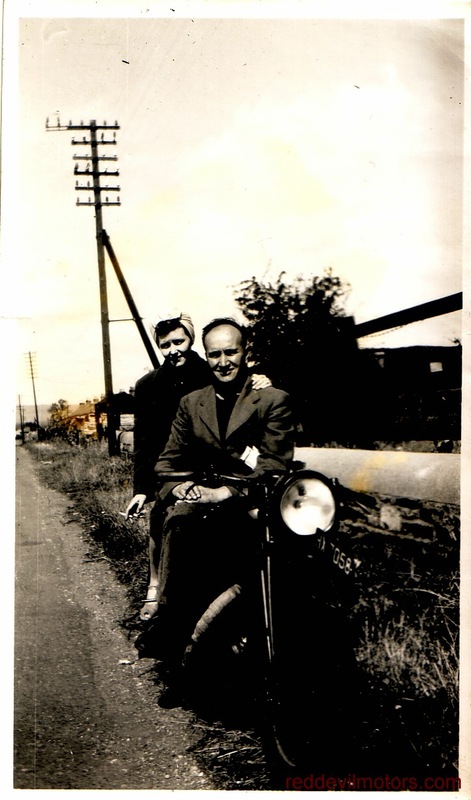 A snap from someone's family album featuring an early fifties BSA C10 (sidevalve 250cc) or perhaps C11 (ohv 250cc rigid frame) or it could just be a C12 (ohv 250cc plunger frame). 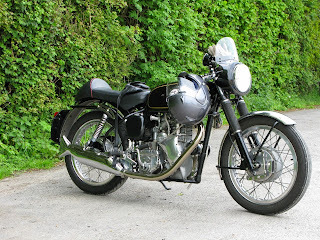 Early fifties C series BSA. 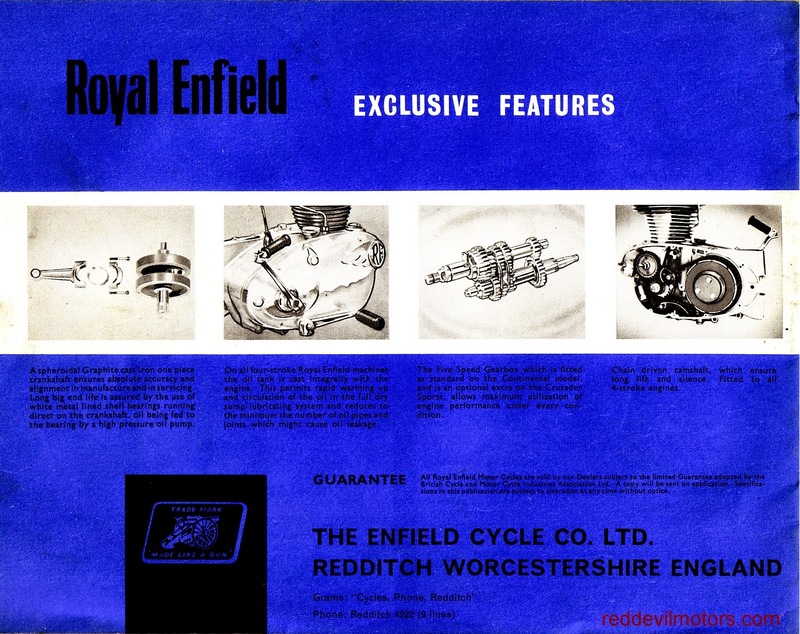 Approaching the end of the line, the Redditch line at least, here's the 1965 Royal Enfield brochure. 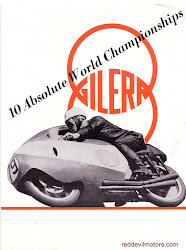 This was the era of racing legend Geoff Duke's involvement in the racing and marketing effort. Geoff sadly passed away very recently. 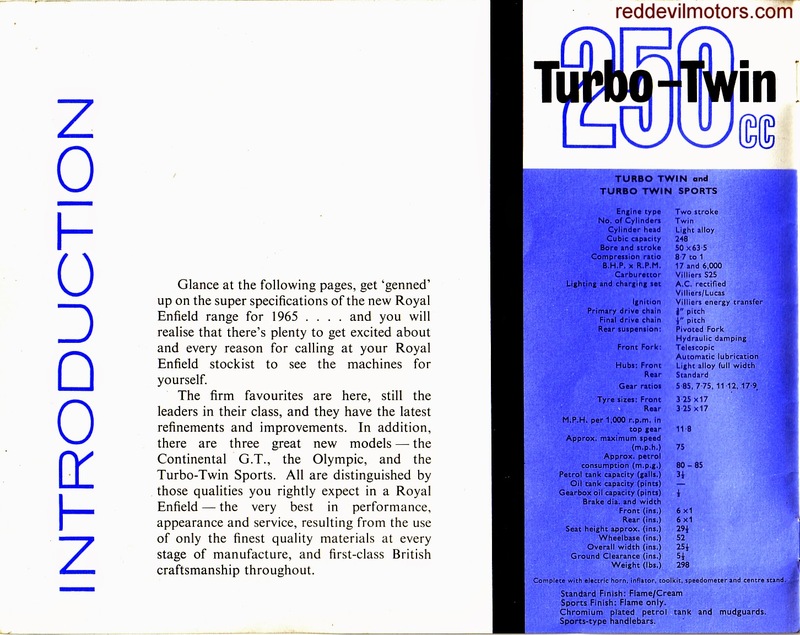 By this time the range was essentially down to derivatives of just two machines, the Crusader and Interceptor, both very competent machines but beginning to lose their shine against overseas competition. 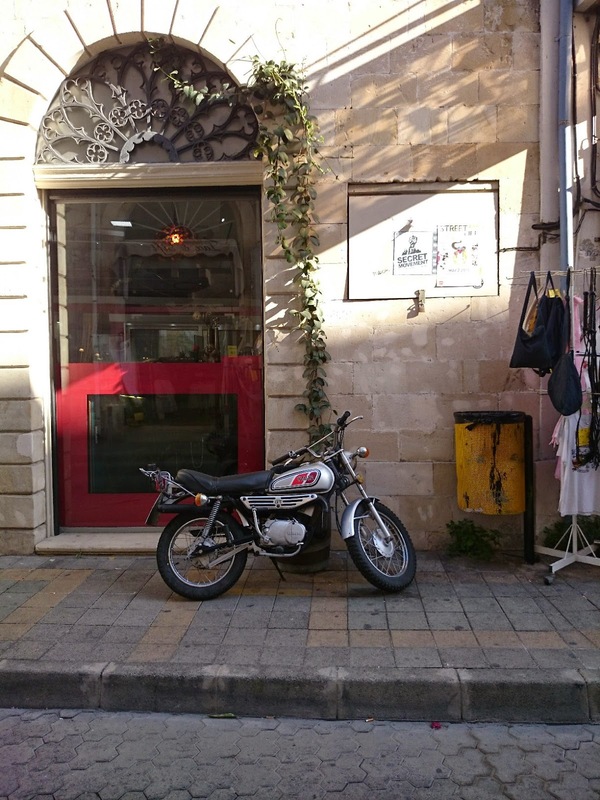 I ran around on a Turbo Twin that had been given the cafe racer treatment for a while, it was a fine bike - good handling and braking. 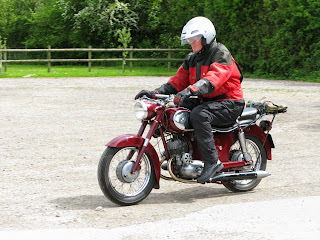 I even did a three hundred mile run on country roads on it one day, the bike coped a treat but I was in some pain by the end. The mid and late sixties Royal Enfields are bestowed with significantly higher quality cycle parts than their competitors were using, the move to cost cutting cheap tinware never really reached Redditch. 1965 Royal Enfield brochure front cover. 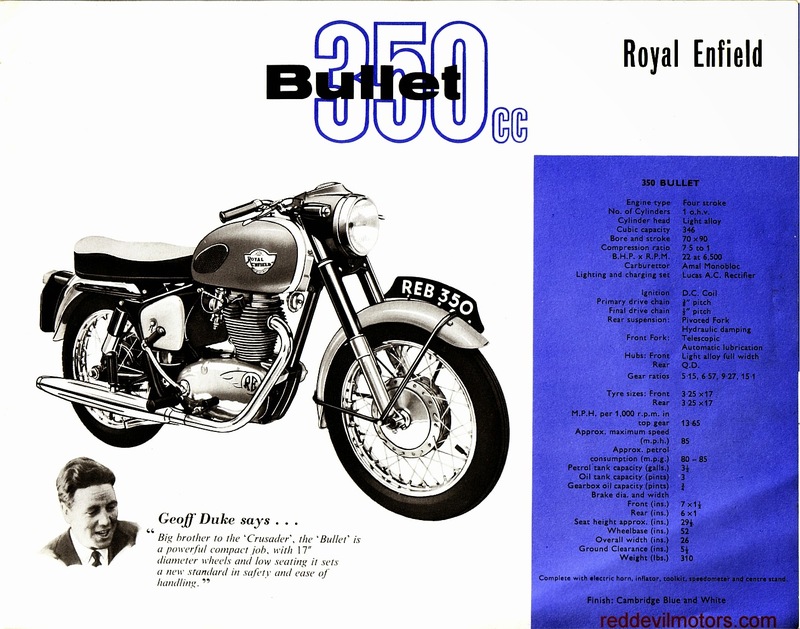 1965 Royal Enfield brochure page 1. 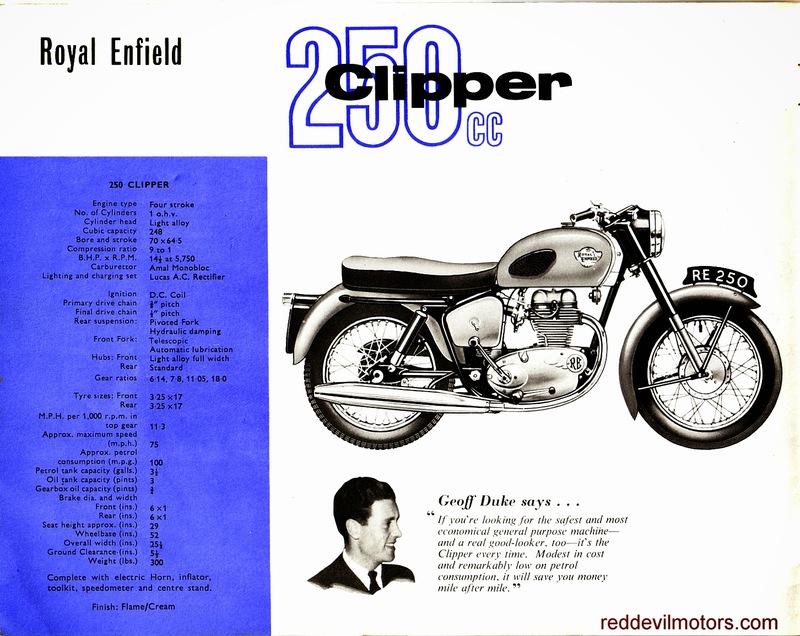 1965 Royal Enfield brochure page 2. 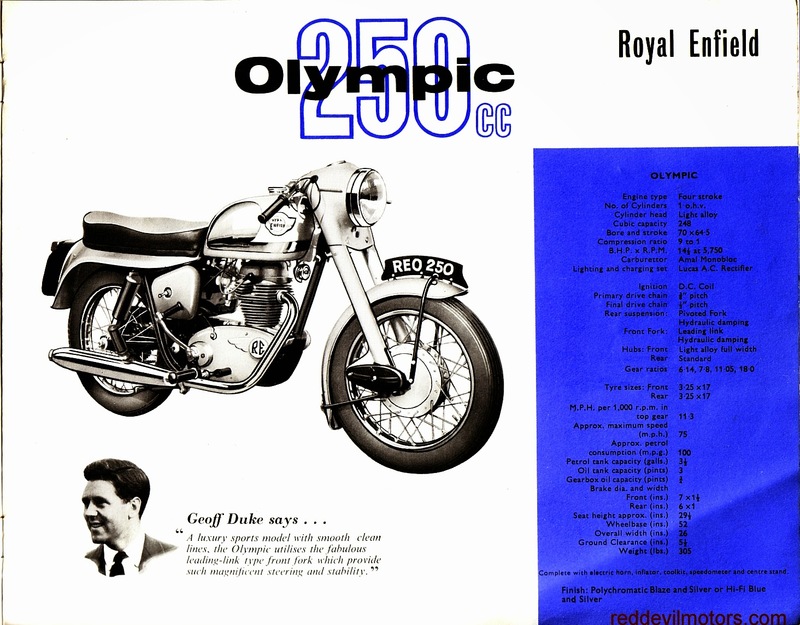 1965 Royal Enfield brochure page 3. 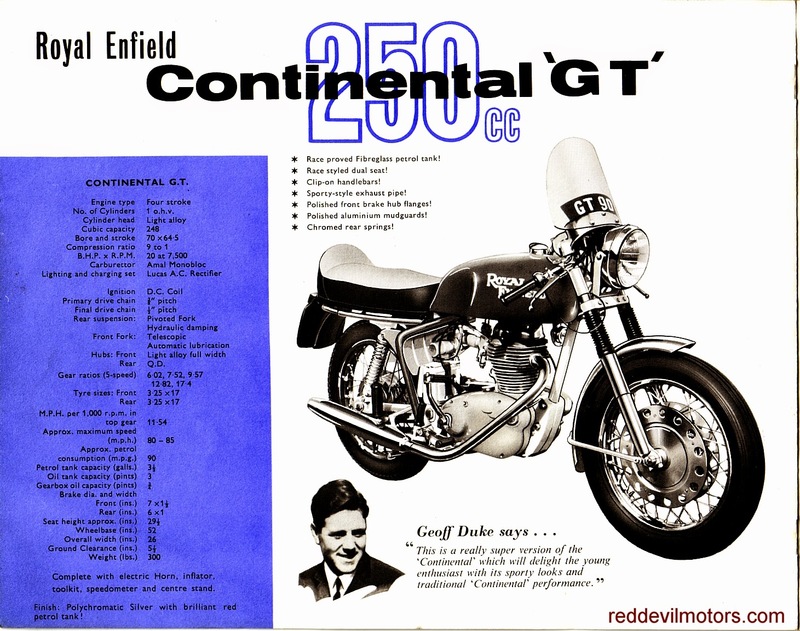 1965 Royal Enfield brochure page 4. 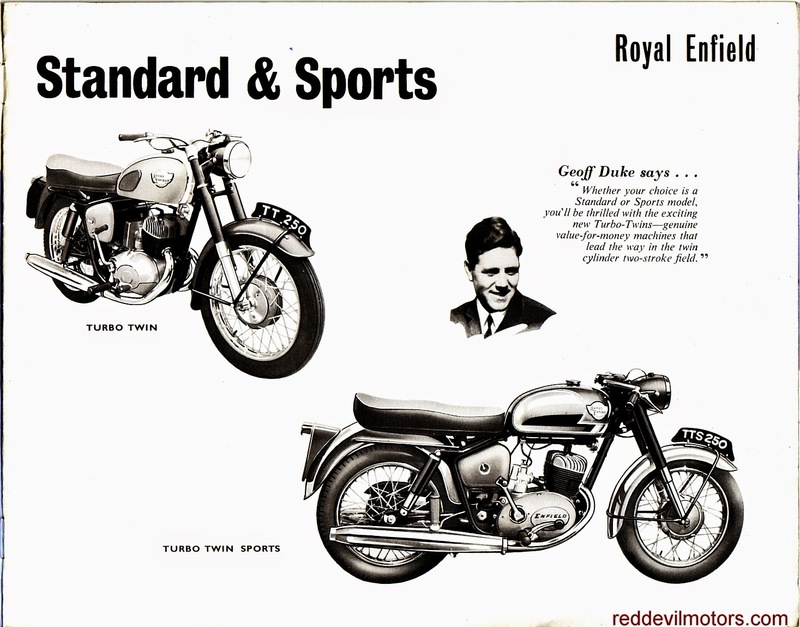 1965 Royal Enfield brochure page 5. 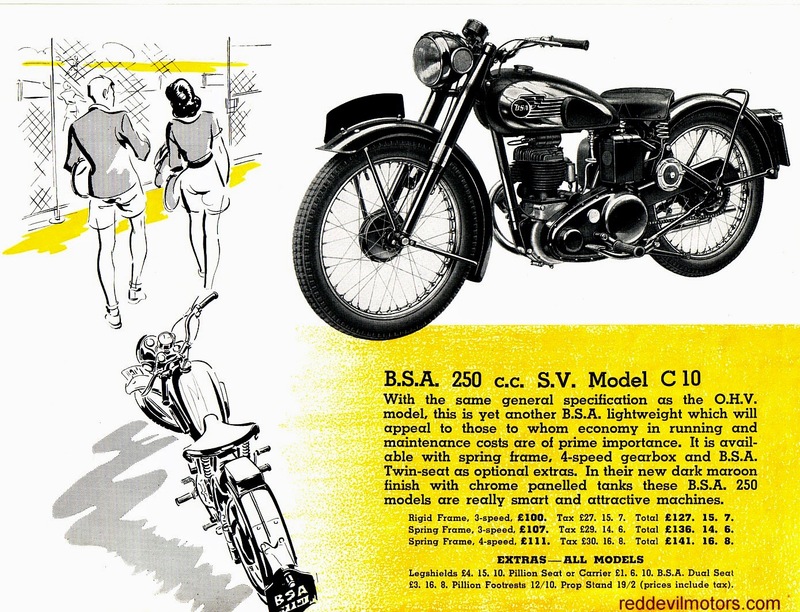 1965 Royal Enfield brochure page 6. 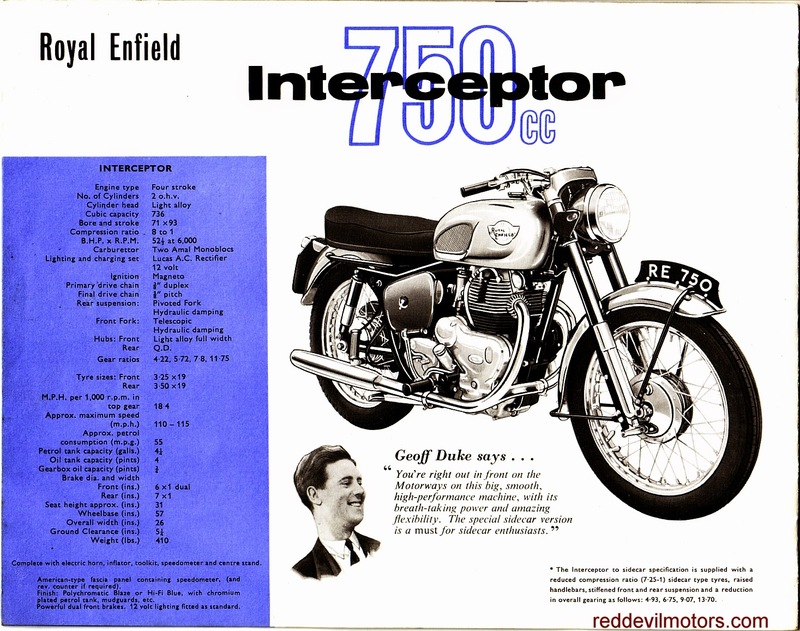 1965 Royal Enfield brochure page 7. 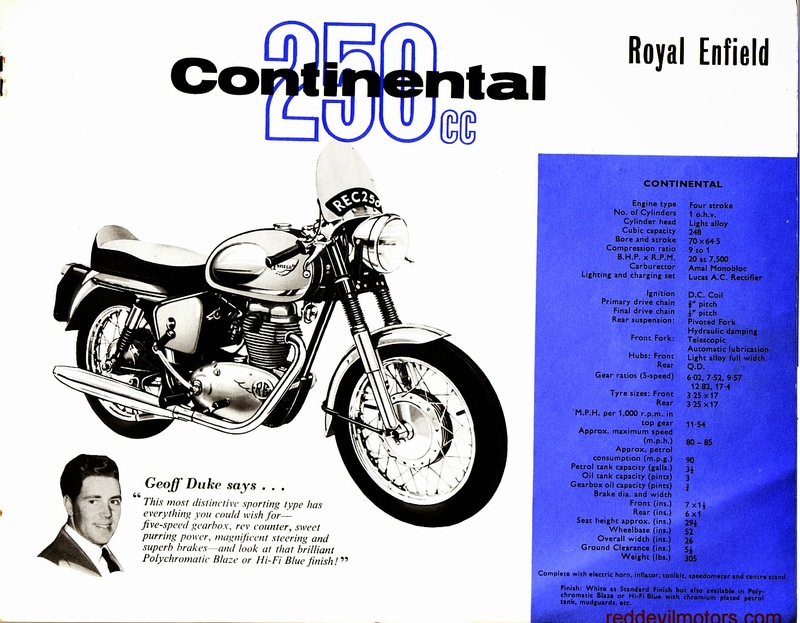 1965 Royal Enfield brochure page 8. 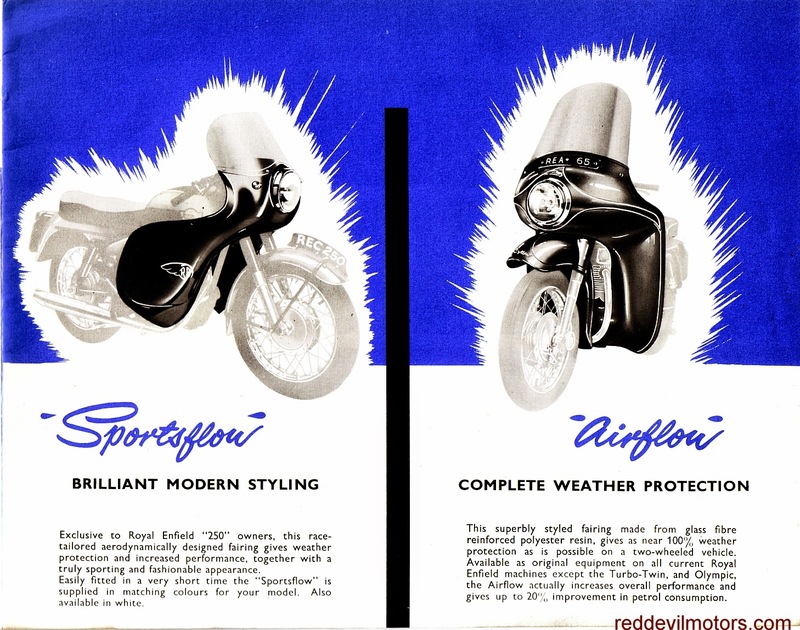 1965 Royal Enfield brochure page 9. 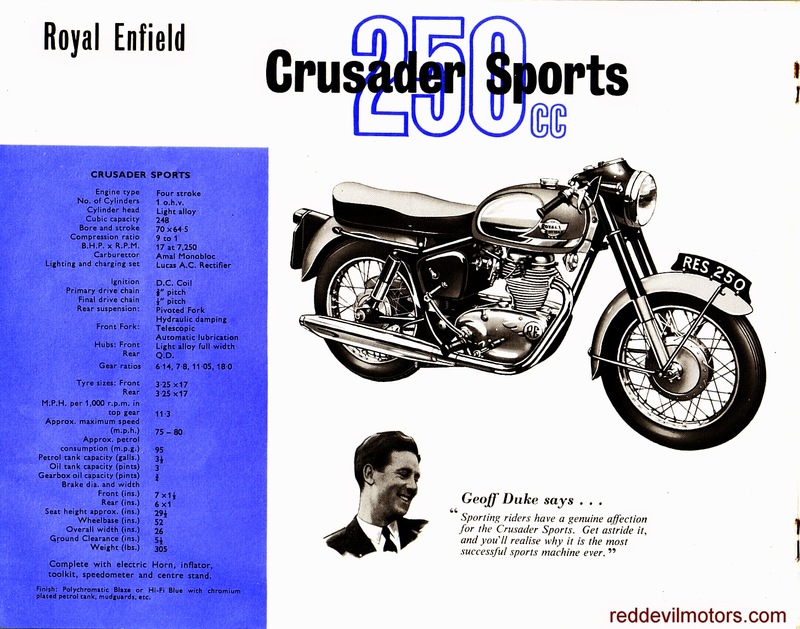 1965 Royal Enfield brochure page 10. 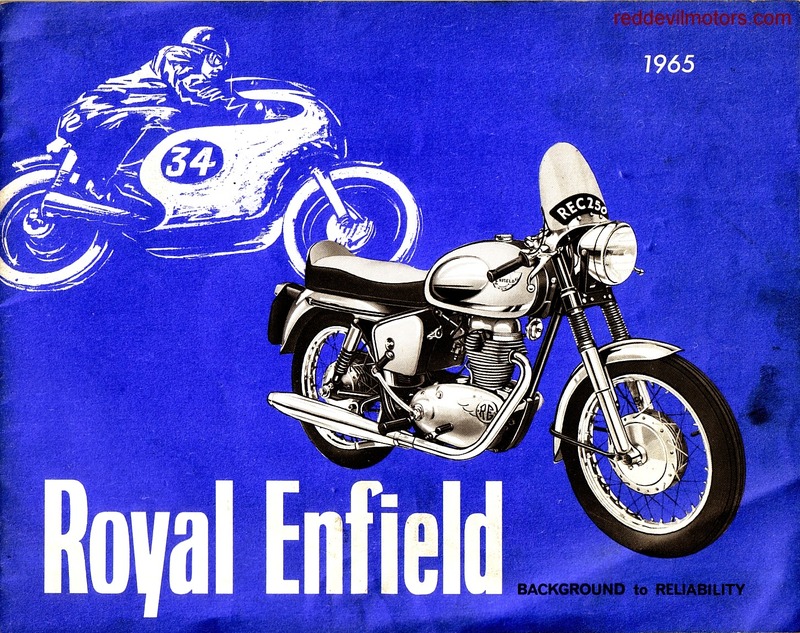 1965 Royal Enfield brochure rear cover. 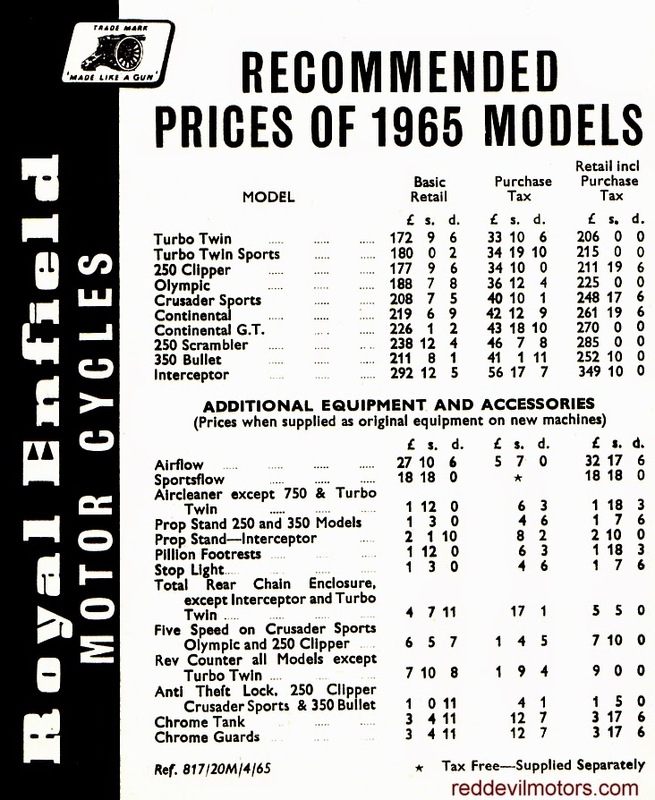 1965 Royal Enfield price list. Yes, it's a crap photo but what can I do, throw it in the bin? These low grade images come to me with job lots of higher quality snaps and poorly exposed as the picture may be it still tells a story. What I like about this one is that it represents the beginning of an era of affordable photography. Images become more casual as the cost lowers, there's no longer any need for a careful pose, if the photo turns out bad the loss isn't great. Strange as the background is as a choice for location the composition is actually pretty good, the telegraph pole, the road and verge all draw in and the nonchalant pose of the lady, fag in hand, is great. 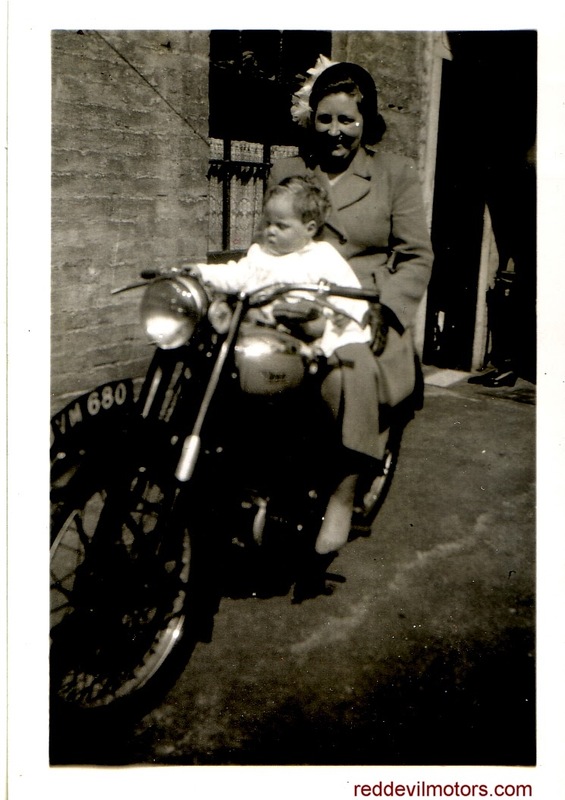 As for what the bike is, no bloody idea at all! Plans to make more space in the garage are not going well. 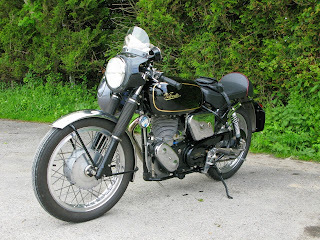 The Bullet left and this LE (Little Engine) Velocette has snuck in. Swapped for a veteran Douglas gearbox it's one of those 'was working when it was last used bikes'. Ownership of an LE Velo puts me in the firing line of derision from friends but they've always intrigued me and trying one out has been on my old motorcycle bucket list for a while. What I don't really need however is another project so I'm going to check this one for the vital signs of life and if it is unresponsive it will have to find a new home. 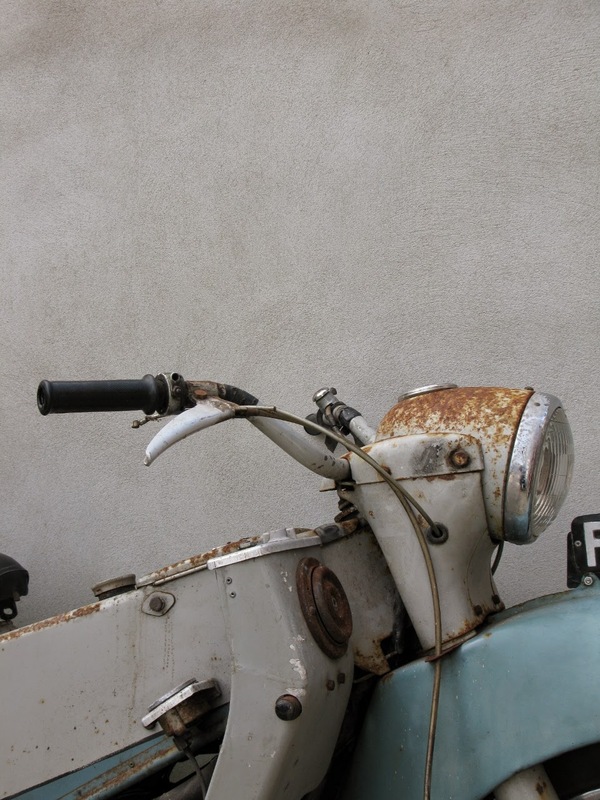 In my world there's no problem with the cosmetics of the Velo that a wipe with an oily rag won't cure and if it can be put back on the road with a little fettling and a new set of tyres then great. 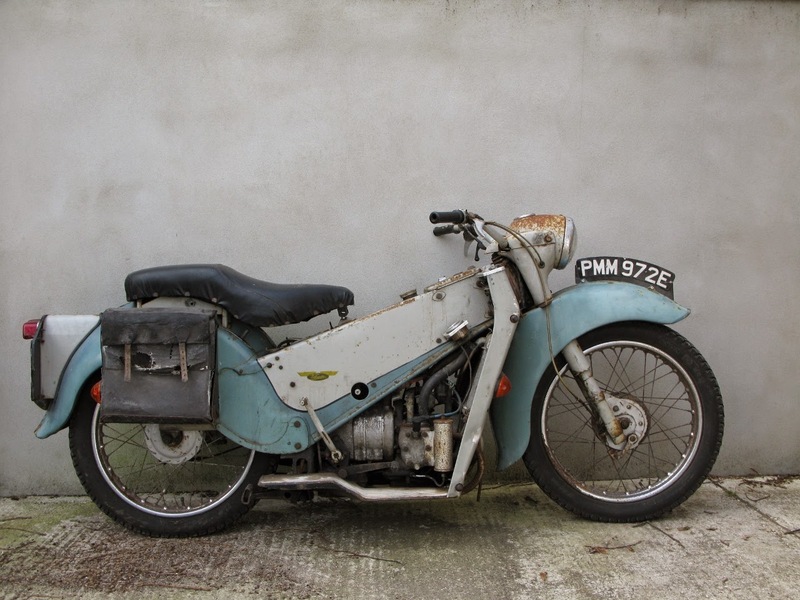 Though the subject of scorn from some quarters of the old bike world LE Velos can't be too bad, they were actually in production for over twenty years and have a very enthusiastic following. In reality it seems that the main criticism you can level against them is in their over complexity (this lead to a high price when new but they are absolute bargains these days) and woeful lack of performance. 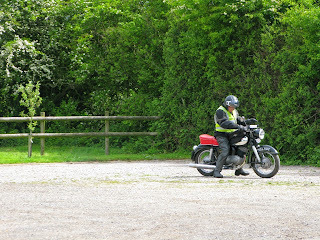 Watch this space for more excursions in to the world of the LE Velo. A bit under-exposed this photo. 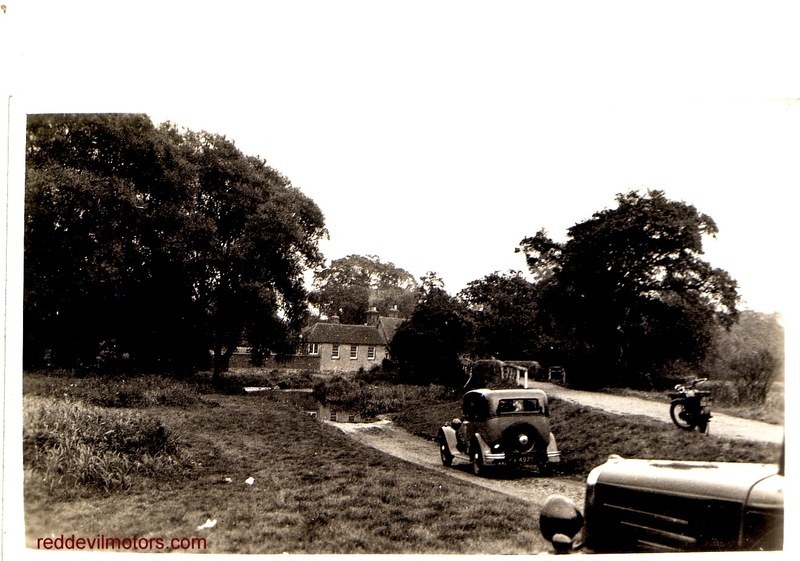 Easy enough to recognise the machine as a BSA, if you can identify the model then you qualify as a Grand Poobah of vintage bike recognition..
Bucolic English scene from the thirties. Not a lot more to say, the snap came with a few other old photos I bought, it's a pleasant view and for that it seems worthwhile posting.